Country music stars. Dancing. Classic cars. Great food & cold beer! 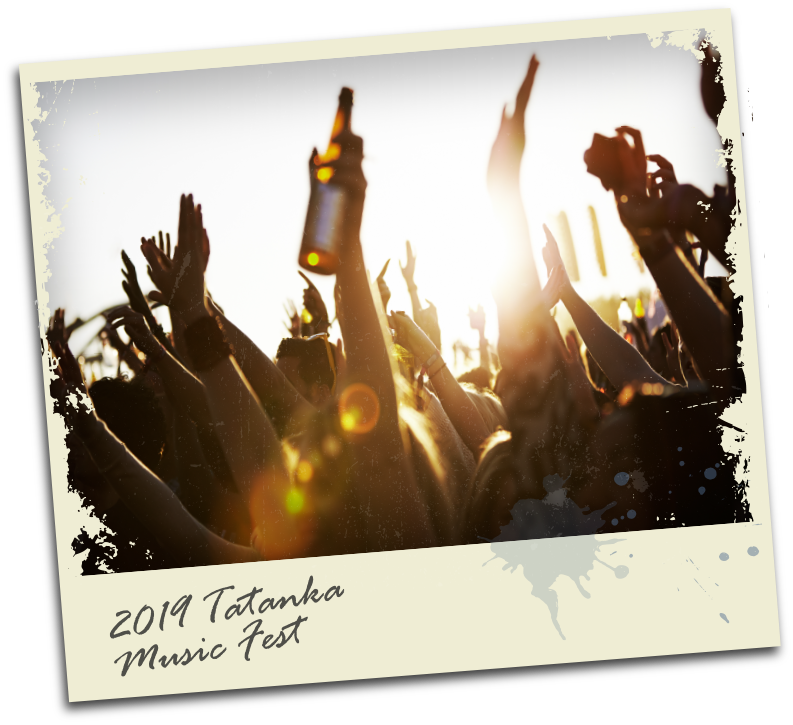 All this and so much more awaits you at Tatanka Music Fest! Whether you’re just here to stomp your boots and clap your hands to the music, or you’re ready for the full festival experience, we’ve got something for everyone! Explore the festival grounds and discover what we’ve got in store for you, or just click below! Stop by our classic car show at Tatanka Music Fest! Take a break in between music acts to explore impressive cars from another era. We’ll have a vast array of cars available to view, including vintage, collector, rare, muscle cars and specialty vehicles. Want an exclusive, once in a lifetime seat for the festival? Take a tour of the Oklahoma countryside and get the best possible view of Tatanka Music Fest via helicopter! Grab a friend and take in the scenery from 1,000 feet in the air with your own private helicopter tour! Say cheese! Get your photo taken with your favorite Oklahoma mascots! We’ll have a photo booth set up and the mascots from Oklahoma’s major colleges and professional teams will be at the festival! No music fest is complete without a top selection of brews! Cool off with a cold one! Refresh yourself in our shaded, 21 & up beer garden. Domestic beers and premium craft beers from all over the state will be featured! Refuel at our food truck park! Grab barbeque, hamburgers, hot dogs, or pizza from one of the Oklahoma vendors at the fest!